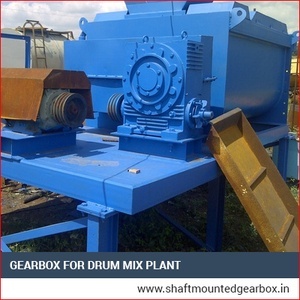 We manufacture wide varieties of Gearbox for Drum Mix Plant of diverse specifications to suit the diverse requirements of different models of Drum Mix Plant. 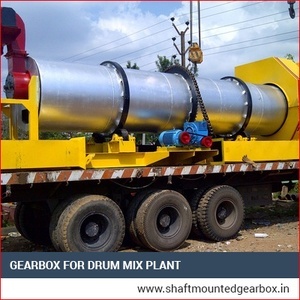 These are fabricated utilizing superior grade materials & components as per the contemporary technology in compliance to the norms of the industry. These are acknowledged for their strong construction, high efficiency, flexibility, compatibility, compact designs etc. They also offer very durable and reliable applications. Their ideal design and precise make as per the design enable them to offer an extensive range of RPM in addition to horse power. 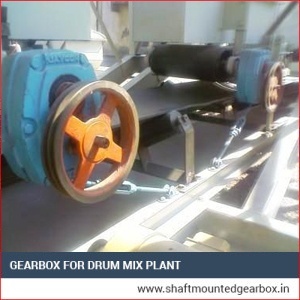 They are perfect for heavy duty applications and excellent power transmission. We offer them at very affordable rates.